Irish-born, American artist Sean Scully’s acclaimed “Landline” series represents a dramatic shift in the work of one of today’s most important abstract artists. Sean Scully: Landline will be on view at the Smithsonian’s Hirshhorn Museum and Sculpture Garden September 13, 2018–January 6, 2019 before traveling to the Wadsworth Atheneum. 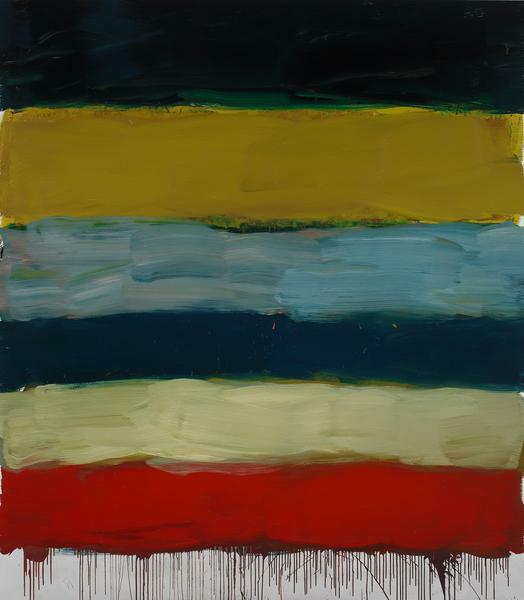 Sean Scully: Landline traces the series’ expression through a variety of media, with nearly 50 oil paintings, pastels, watercolors, and photographs, and two layered aluminum Stack sculptures. A large-scale, 30 layer sculpture will be installed on the museum’s Main Street lawn in advance of the exhibition, in June 2018. Known for combining the geometry of European concrete art with the ethereality of American abstraction, Scully’s thick, gestural brushstrokes evoke the energy and beauty of the natural world. His Landline works are largely inspired by his years in Ireland, particularly his time looking out to the sea. In these moments, Scully saw the layers of the world pressed into the space in front of him, forming the stacks that would come to characterize this series. The expressive and unconstrained bands of color reach beyond abstraction and into the sublime, where the contours of landscapes unfold to reveal the physical and emotional dimensions of experience, trauma, and memory. The exhibition is accompanied by an illustrated catalogue.